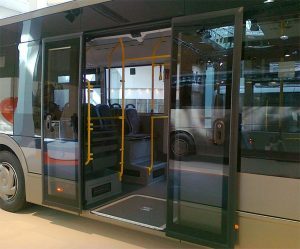 BODE SUD automatic door systems range includes in-swinging, out-swinging and plug sliding models. option : manual lock with square or standard key. 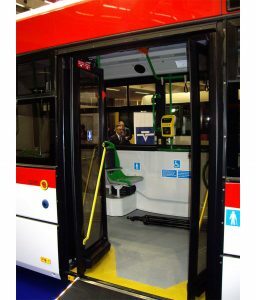 The plug sliding door systems, complying with Directive 2001/85/EC and Regulation No.107 UN/ECE. 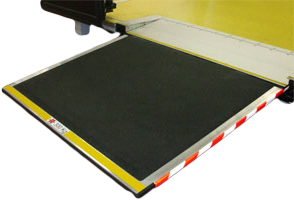 BODE SUD access ramp systems range includes under floor, middle floor and on-floor models. 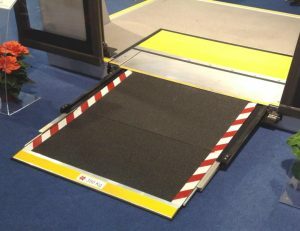 The electric ramp Euro 3I is the first new generation ramp, designed and developed, in order to renew the style and to comply with European Directive 2001/85/EC. 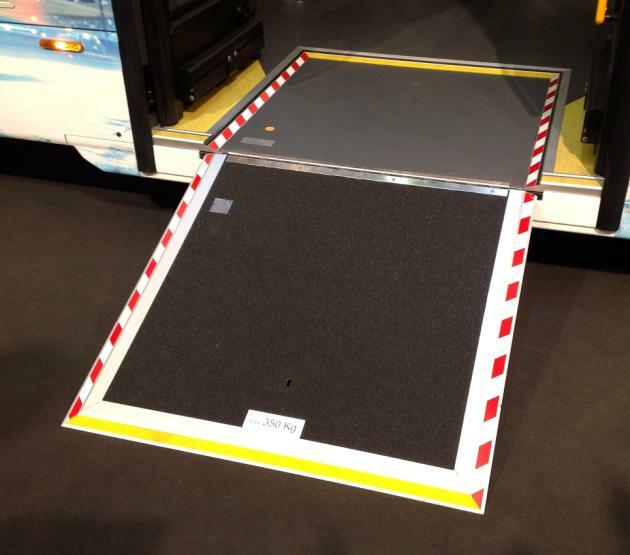 Such ramp allowed the easy access of the wheelchairs to the low floor intercity and city buses with kneeling, being mounted under the vehicle body structure at central door. bearable weight up to 350 kg. 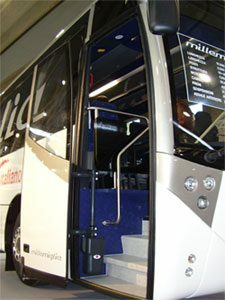 The electric ramp Euro 5I, having the same features compared to the Euro 3I version, has been developed on 2005 in order to allow the easy access of the wheelchairs to the low-floor city buses with kneeling, being mounted in the middle space between the vehicle floor and body structure at central door. The special inside mounting preserves the mechanical and the electrical parts, assuring the safe availability and making the maintenance easier. bearable weight up to 350 kg.0 kg. 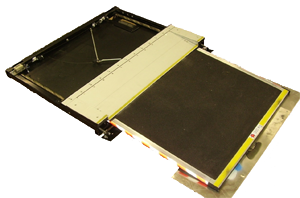 We have designed and developed this ramp in order to assure the adjustment to the technical progress and also the compliance with the Regulation No.107 UN/ECE. We have designed and developed the telescopic ramp like a big innovation of previous ones, in order to allow the disabled people the easy access to low floor vehicles through a very compact product, complying with the Regulation No.107 UN/ECE. In all outside state, the telescopic ramp has got the same footboard dimensions as a standard ramp and, in all inside state, it is characterized by a minimal internal impact for the busbuilders, thanks to the very small case’s depth. 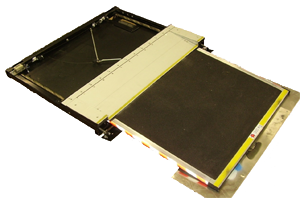 The folding ramp, complying with Directive 2001/85/EC and Regulation No.107 UN/ECE, has been designed in order to allow the easy access of the wheelchairs to the minibus and low floor intercity/city buses with kneeling, being mounted on the vehicle floor at central door.